(Note: This import alert represents the Agency’s current guidance to FDA field personnel regarding the manufacturer(s) and/or products(s) at issue. It does not create or confer any rights for or on any person, and does not operate to bind FDA or the public). 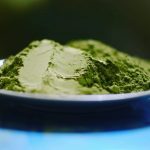 FDA has seen an increase in the number of shipments of dietary supplements and bulk dietary ingredients that are, or contain kratom, also known as Mitragyna speciosa, mitragynine extract, biak-biak, cratom, gratom, ithang, kakuam, katawn, kedemba, ketum, krathom, krton, mambog, madat, Maeng da leaf, nauclea, Nauclea speciosa, or thang. 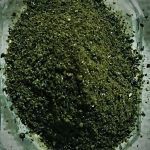 These shipments of kratom have come in a variety of forms, including capsules, whole leaves, processed leaves, leaf resins, leaf extracts, powdered leaves, and bulk liquids made of leaf extracts. 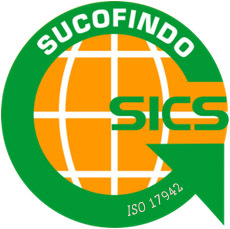 Importers’ websites have sometimes contained information about how their products are used. 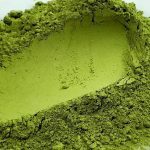 Kratom is a botanical that qualifies as a dietary ingredient under section 201(ff)(1) of the Federal Food, Drug, and Cosmetic Act (the Act) [21 U.S.C. 321(ff)(1)]. 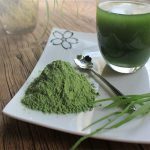 When marketed as a dietary ingredient, FDA also considers kratom to be a new dietary ingredient under section 413(d) of the Act [21 U.S.C. 350b(d)] because, to the best of the agency’s knowledge, there is no information demonstrating that this substance was marketed as a dietary ingredient in the United States before October 15, 1994. 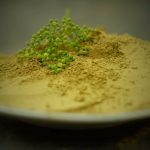 Furthermore, based on FDA’s review of the publicly available information regarding kratom, there does not appear to be a history of use or other evidence of safety establishing that kratom will reasonably be expected to be safe as a dietary ingredient. 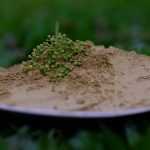 In fact, the scientific literature disclosed serious concerns regarding the toxicity of kratom in multiple organ systems. 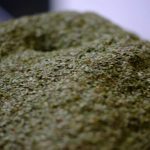 Consumption of kratom can lead to a number of health impacts, including respiratory depression, nervousness, agitation, aggression, sleeplessness, hallucinations, delusions, tremors, loss of libido, constipation, skin hyperpigmentation, nausea, vomiting, and severe withdrawal signs and symptoms. 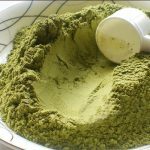 In the absence of a history of use or other evidence of safety establishing that kratom will reasonably be expected to be safe as a dietary ingredient, kratom and kratom-containing dietary supplements and bulk dietary ingredients are adulterated under section 402(f)(1)(B) of the Act [21 U.S.C. 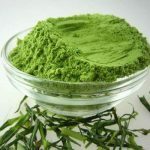 342(f)(1)(B)], because they contain a new dietary ingredient for which there is inadequate information to provide reasonable assurance that such ingredient does not present a significant or unreasonable risk of illness or injury. Districts may detain, without physical examination, the specified products from the firms identified in the RED LIST of this alert. 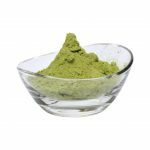 The specified dietary supplements and bulk dietary ingredients from the firms listed on the RED LIST of this Import Alert have been found to contain kratom. When detained products appear to be dietary supplements or bulk dietary ingredients as discussed in this alert and are not currently listed on the RED LIST of this alert, Districts should forward appropriate evidence/documentation as a “Center Review Detention” case via CMS to CFSAN/OC/DE/LDSCT team. Based on the Center’s evaluation, a CMS case for addition to the RED LIST of this alert may be forwarded to DIO/IOMB team by the District’s Compliance Branch. 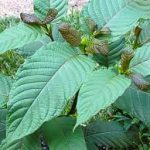 Districts should be on alert to the possibility that the labeling, marketing, and/or promotion of kratom and kratom-containing products may indicate that such products appear to be unapproved and/or misbranded drugs. For such products, Import Alert 66-41 may be applicable. For questions or issues involving import operations, contact DIO’s Import Operations and Maintenance Branch at (301) 796-0356. For questions or issues concerning preparation of samples for analysis or analytical methodology, contact ORA’s Office of Regulatory Science at 301-796-6600. 54 F – – 99 Herbals & Botanicals (not Teas), N.E.C. 54 Y – – 99 Vitamin, Mineral, Proteins and Unconventional Dietary Specialities For Humans and Animals, N.E.C. 54 A – – 99 Vitamin, N.E.C. 53 P – – 99 Other Cosmetic Raw Materials, N.E.C. 54 E – – 99 Herbals & Botanical Teas, N.E.C. 53 D – – 99 Other Fragrance Preparations, N.E.C. 53 Y – – 99 Other Cosmetic and Cosmetic Products, N.E.C. 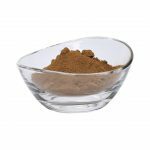 66 B – – 99 Stimulant N.E.C. Notes:laims to ingestion associated with all parties in the entry. Notes:Claims to ingestion associated with all parties in the entry. 53 E – – 99 Other Hair Preparations, Non-coloring), N.E.C. 24 T – – 99 Leaf & Stem Vegetables, N.E.C. Notes:Claims to ingestion associated with all parties in the entry. Entry was declared as; Botanical Specimens; not intended for sale as food or supplement; raw incense material. 66 V – – 99 Miscellaneous Patent Medicines, Etc. 41 Y – – 99 Dietary Conventional Foods, N.E.C. Notes:Claims on behalf of importers facebook and twitter reference ingestion. Entry was declared as �Premium Face & Body Mood Bar,� label declares: �May contain Kratom, Kava or Kana. Notes:Claims on behalf of importers facebook and twitter reference ingestion. Entry was declared as Premium Face & Body Mood Bar; label declares; May contain Kratom; Kava or Kana. Notes:Claims to ingestion associated with all parties in the entry.Entry was declared as; Botanical Specimens; not intended for sale as food or supplement; raw incense material. Notes:Claims to ingestion associated only with importer in the entry. Notes:Claims to ingestion associated only with importer/consignee in the entry. 24 U – – 99 Leaf & Stem Vegetables, Dried or Paste, N.E.C. Notes:Internet claims to ingestion on behalf of all firms in the entry. Notes:Entry was declared as Rotundifolia Foliage; laboratory analysis confirmed that the entry is Mitragyna Speciosa. Claims to ingestion associated with importer in the entry.